So, you want to know more about our Tasting Panel and how you can get on it? Here are all the details, but remember: With great privilege comes great responsibility! The “Tequila Matchmaker Tasting Panel” is a special list of tequila geeks using our app. The panel is made up of aficionados and bartenders. We add people to this group based on the quality of their reviews, and how often they use the app. There is no cost to members of the panel. Members of the tasting panel get some special perks, including access to special tasting events, and the option to participate in monthly blind tasting assignments. This is an invite-only group, and we carefully select members from our community of app users. 1) Be a real person. No fake names. No bogus email addresses. Use your real email address, not the one you use when you’re worried that you’re going to get spammed. We don’t spam our members, and we don’t sell or share email addresses. But we will attempt to contact you via email if we want to extend an invitation to join the panel and participate in special events. 3) Love tequila – all types. Not just extra añejos, but blancos and everything in between. If you consider yourself “an añejo person”, or think that a blanco tequila is only for mixing into a cocktail, then you won’t make a very good panel member. Likewise, if you are a blanco purist, and can’t stand the taste of an aged tequila, then participation in the tasting panel may not be for you. 4) Be consistent with the frequency of your ratings. This shows that you’re using the app and evaluating tequilas as a regular activity. It means the app is important to you! 5) Rate at least 25 tequilas. Once you hit this magic number, your account is automatically flagged as someone who’s a potential panel member, and we should review your ratings. But, if you go into the app and quickly rate 25 tequilas “from memory”, we can tell. It takes a lot of time and consideration to rate a tequila, and people who do so are the type of people who do well as panelists. 6) Leave comments and tasting notes with your ratings as often as possible. This takes effort, but really does show that you are serious about the tequila you are drinking. We adore people who take the time to leave comments with their ratings. It makes the app experience better for everyone. 7) “Fingerprint” at least 5 tequilas. This is another activity that takes time and careful consideration. People who regularly go through the fingerprinting process (identifying the flavors and aromas found within a tequila) will head to the front of the line when it comes to invitations to the Tasting Panel. So, now that you know what it takes, if you love tequila and want to be part of this group, get rating! Being part of the Tasting Panel means you will play an important role within our community of app users, helping other tequila lovers find the brands that are right for them. 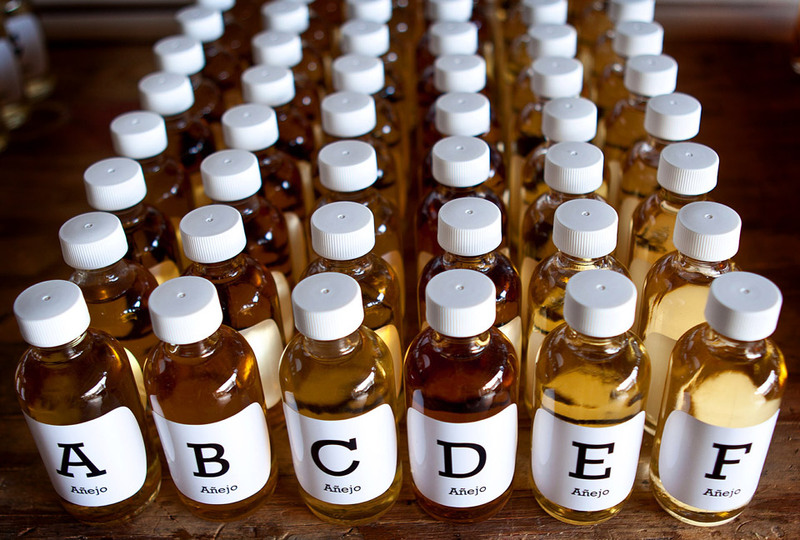 Learn more about tequila (and yourself) than you ever thought possible by tasting it blind. Join us! Excited to have a spot to organize my thoughts on this beautiful Agave Spirit! I am assuming that US citizen is a requirement due to issues with internationally shipping alcohol?